We all know that Cup width is 4,25 inches. 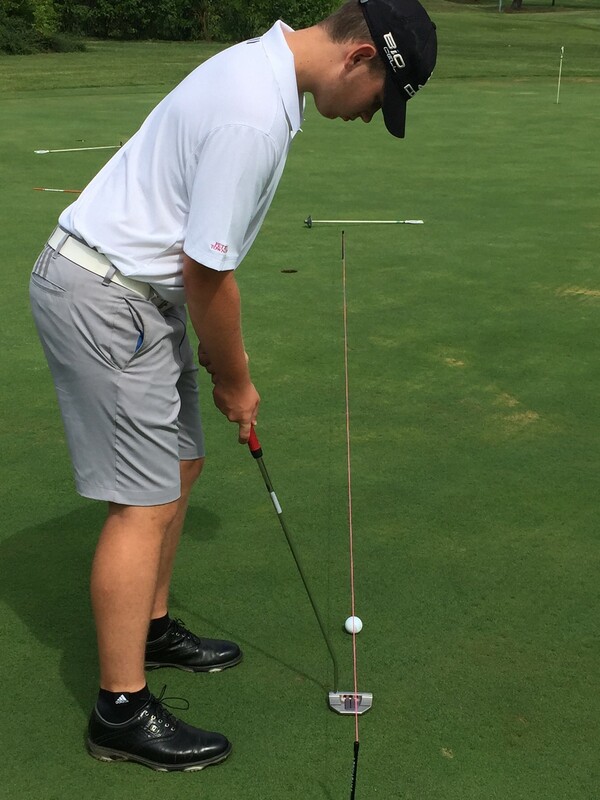 I hope you are aware that the Cup width when ball passing the hole for just a one feet is only 2,6 inches! More than 30% smaller! And the hole is “gone” when our ball 8 feet pass through the hole! Why is that important? The fact is that the speed with which send the ball determines which line we choose. For example, let’s say that we have putt from 5 feet with slope of 3 according AimPoint. The ball is curving on his way to the hole with speed exactly to stope the ball 1 feet behind the hole. The hole width is 2,6 inches. But if someone decide to hit the ball harder because it’s “only” 5 feet from the hole, what he must change and how will adjust to the new conditions? 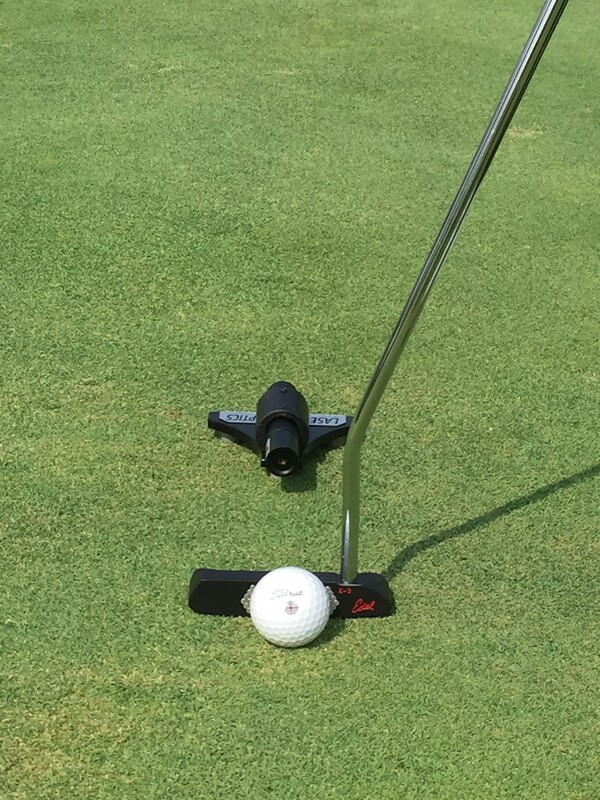 The intendend line of putt is definetily flatter and the cup is even more smaller. Smaller 45% and now the cup width is only 1.4 inches! Whau!!! I want to play with bigger hole please! If we can consistently hit that ball passes the hole for the feet at different distances, we completed a large part of the job. How we in Golf School Ljubanović deal with it? Depending on golfers skills we check technique with Blast sensor which measures following: Back Stroke Time, Forward Stroke Time, Total Stroke Time, Tempo, Loft, Lie, Back Stroke Rotation, Forward Stroke Rotation, Rotation Change. Once we have your information, your signature, then apply the necessary changes in the technique. Also we use “T-Bar”, Lasers, Strings, Alignemnt Strings, Tees, Boxes… Of course that the whole procedure includes checking your equipment. Your Putter weight (head weight & shaft weight), Lenght, Lie, Hosel and how good you are in Aim which are the KING elements to have a great controlling distance on the greens. 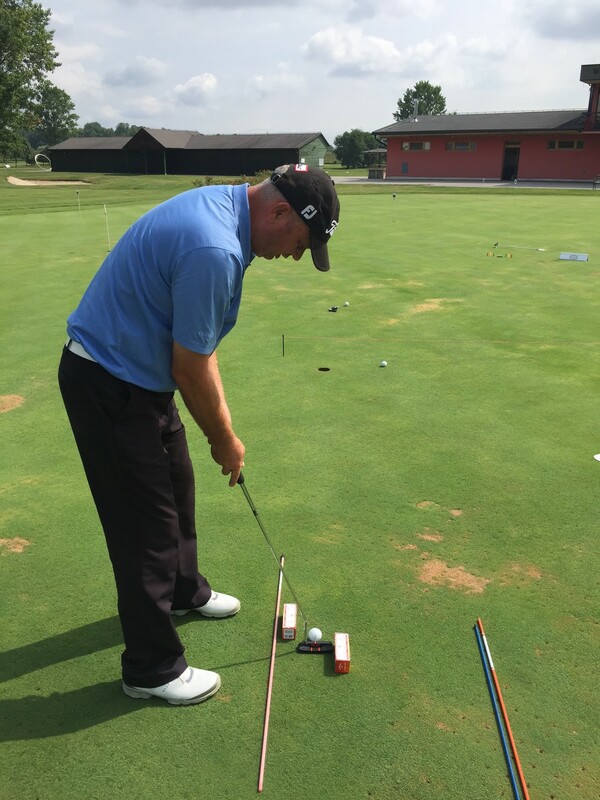 Do not forget that the putting is 40% of all your strokes on the golf course, and we have the solutions your putting instantly to improve.